Verma, P., Bhardwaj, N., Singh, S. (2017). Upgradation of Recycled Pulp Using Endoglucanase Enzyme Produced by Pycnoporus sanguineus NFCCI-3628. Iranian Journal of Chemistry and Chemical Engineering (IJCCE), 36(2), 191-201. Piyush Kumar Verma; Nishi Kant Bhardwaj; Surendra Pratap Singh. "Upgradation of Recycled Pulp Using Endoglucanase Enzyme Produced by Pycnoporus sanguineus NFCCI-3628". 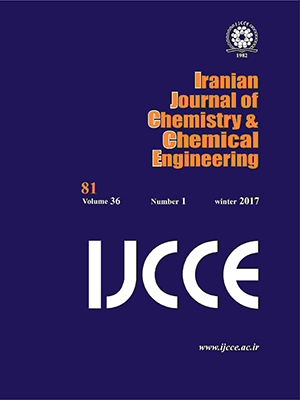 Iranian Journal of Chemistry and Chemical Engineering (IJCCE), 36, 2, 2017, 191-201. Verma, P., Bhardwaj, N., Singh, S. (2017). 'Upgradation of Recycled Pulp Using Endoglucanase Enzyme Produced by Pycnoporus sanguineus NFCCI-3628', Iranian Journal of Chemistry and Chemical Engineering (IJCCE), 36(2), pp. 191-201. Verma, P., Bhardwaj, N., Singh, S. Upgradation of Recycled Pulp Using Endoglucanase Enzyme Produced by Pycnoporus sanguineus NFCCI-3628. Iranian Journal of Chemistry and Chemical Engineering (IJCCE), 2017; 36(2): 191-201. The importance of recycling and utilization of recycled fiber has recently been recognized because of concerns about environmental issues and economic aspects. In spite of several advantages offered by paper recycling such as wood savings through substitution of virgin pulp and reduction in chemical usage, recycled pulp also contains plenty of fines having high relative surface area and high amount of amorphous cellulose. These fines adsorb water to a large extent and dewatering rate is lower compared to virgin pulp. Selective hydrolysis of these excess ultra-fines through eco-friendly cellulase enzymes can be utilized for enhancing the drainage rate leading to increased paper production. The present study deals with the isolation, production, biochemical characterization of alkali stable endoglucanase enzyme from Pycnoporus sanguineus NFCCI-3628 and its potential application for the improvement of pulp drainage. The enzyme produced by the fungus was stable even in neutral to alkaline pH range 7-8. In the experiments carried out, significant improvement of ~9-14% in drain ability of pulp treated with endoglucanase enzyme was achieved along with better paper properties such as tensile index & smoothness. Gusakov A.V., Sinitsyn A.P., Berlin A.G., Markov A. V., Ankudimova N.V., Surface Hydrophobic Amino Acid Residue in Cellulase Molecules as a Structural Factor Responsible for Their High Denim Washing Performance, Enzyme Microb. Technol., 27: 664- 671 (2000). Obendorf S.K., Nielsen V.S., Fanφ T.S., Lipase and Cellulase Enzymes in Laundry Detergents: Microscopy Analysis, CHIMICA OGGI/ Chemistry Today, 9: 40-43 (2002). Bajpai P., Application of Enzymes in the Pulp and Paper Industry, Biotechnol. Prog., 15: 147-157 (1999). Vyas S., Lachke A., “Enzymes for Pulp and Paper Manufacturing: Towards Catalyzing Sustainable Development. In: Green Chemistry and Sustainable Development”, M.M. Srivastava (Ed. ), Allied Publishers, New Delhi (2004). Pala H., Mota M., Gama F.M., Enzymatic Modification of Paper Fibers, Biocatal. Biotransform. J., 20(5): 353-361 (2002). Jackson L.S., Heitmann J.A. and Joyce T.W. : Enzymatic Modifications of Secondary Fiber, Tappi J., 76(3): 147–154 (1993). Zuhair Al Sulaiman, The Effect of Crystallinity of Cellulose on the Rate of Reducing Sugars Production by Heterogeneous Enzymatic Hydrolysis, Bioresour. Technol. J., 99: 4078-4085 (2007). Teather R.M., Wood P.J., Use of Congo red Polysachharide Interactions in and Enumeration Characterization of Cellulolytic Bacteria from Bovine Rumen, Appl. Environ. Microbiol., 43: 777-780 (1982). Nakagame S., Furujyo A., Sugiura J., Purification and Characterization of Cellobiose Dehydrogenase from White-Rot Basidiomycete Trametes Hirsute, Biosci. Biotechnol. Biochem., 70: 1629-1635 (2006). Reese E.T., Mandels M., Enzymatic Hydrolysis of Cellulose and its Derivatives. In: Whistler L Editor. “Methods in Carbohydrate Chemistry”, Academic Press, New York, London, 139-143 (1963). Lowry O., Rosebrough N., Farr A., Randfall R., Protein Measurement with the Folin Phenol Reagent, J. Biol. Chem., 193: 265-275 (1951). Laemmli UK., Cleavage of Structural Proteins during the Assembly of the Head of Bacteriophage T4, Nature,227: 680–685 (1970). Ghose T.K., Measurement of Cellulase Activities, Pure and Applied Chemistry, 59 (2): 257-268 (1987). Miller L.G., Use of Dinitrosalicylic Acid Reagent for Determination of Reducing Sugars, Analytical Chemistry J., 31: 426-428 (1959). Gusakov A.V., Sinitsyn A.P., Salanovich T.N., Bukhtojarov F.E. and Markov A.V., Ustinov B.B., van Zeijl C, Punt P., Burlingame R., Purification, Cloning and Characterisation of Two Forms of Thermostable and Highly active Cellobiohydrolase I (Cel7A) Produced by the Industrial Strain of Chrysosporium Lucknowense, Enzyme Microb Technol. J., 36: 57-69 (2005). Litchfield E., Dewatering Aids for Paper Applications, Appita J., 47: 62-65 (1994). Bhardwaj N.K., Bajpai P., Bajpai P.K., Enhancement of Strength and Drainage of Secondary Fibers, Appita J., 50 (3): 230-232 (1997). Bhardwaj N.K., Bajpai P., Bajpai P.K., Use of Enzymes to Improve Drainability of Secondary Fibers, Appita J., 48 (5): 378-380 (1999). Verma P.K., Bhardwaj N.K., Singh S.P., Improvement in Pulp Dewatering through Cellulases, Ippta J., 25(3): 105-108 (2013). Rom M., Dutkiewicz J., Fryczkowska B., Fryczkowski R., The Hydrophobisation of Cellulose Pulp, Fiber and Textile in Eastern Europe, 15(5-6): 64- 65 (2007). Sukan S., Guray S., Ayse V.S., Fazilet, Effects of Natural Oils and Surfactants on Cellulase Production and Activity, J. Chem. Technol. Biotechnol., 46: 179-87(1989). Beldman G., Searle-Van Leewen M.F., Rombouts F.M., Voragen F.G.J., The Cellulase of Trichoderma Viride. Purification Characterization and Comparison of All Detectable Endoglucanases, Exoglucanases and β –Glucosidases, Eur. J. Biochem., 146, 301-308 (1985). Stork G., Pereira H., Wood T.M., Dusterho¨ ft E.M., Toft A., Puls J., Upgrading Recycled Pulps Using Enzymatic Treatment, Tappi J., 78: 79–88 (1995). Oksanen A., Lehmonen J., Pere J., Improving Paper Making Process by Controlled Modification of Pulp Carbohydrates. “TAPPI Press - TAPPI Engineering, Pulping and Environmental Conference 2009 - Innovations in Energy, Fiber and Compliance”, Memphis, USA, 2191 – 2216 (2009). Valchev I.V., Bikov P.Y., Pulp Dewatering and Refining Efficiency Improvement by Cellulase Treatment, The Final Report of COST Action E54, in: “Characterization of the Fine Structure and Properties of Papermaking Fibres Using New Technologies”, pp. 91-95 (2011).